This item is retired from production and is no longer available from OYO. 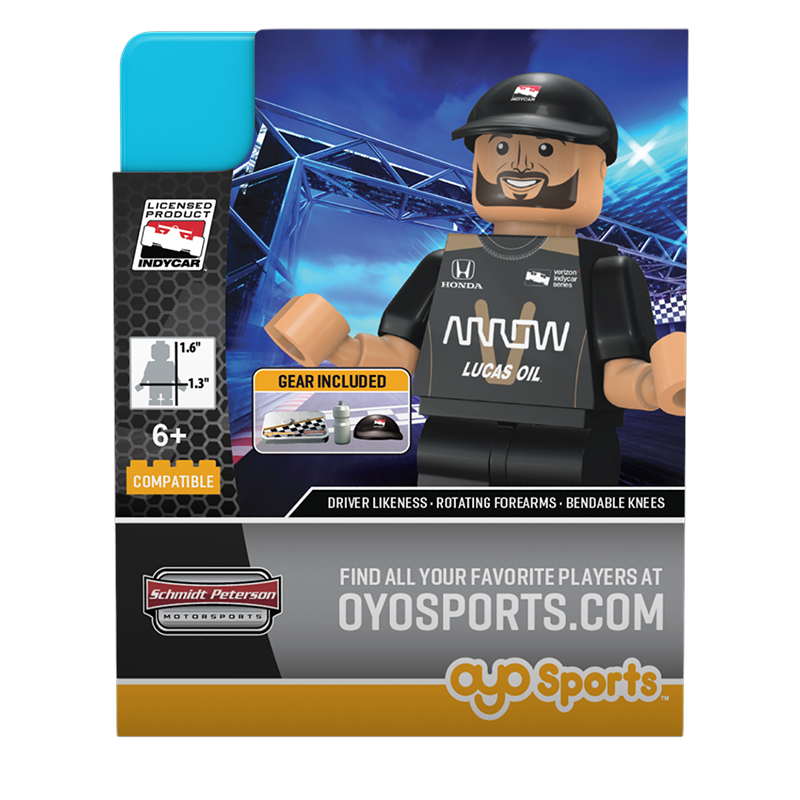 Please see http://shop.ims.com/search.php?search_query=oyo or the Indianapolis Motor Speedway store for availability. Look what just sped into OYO Sports! 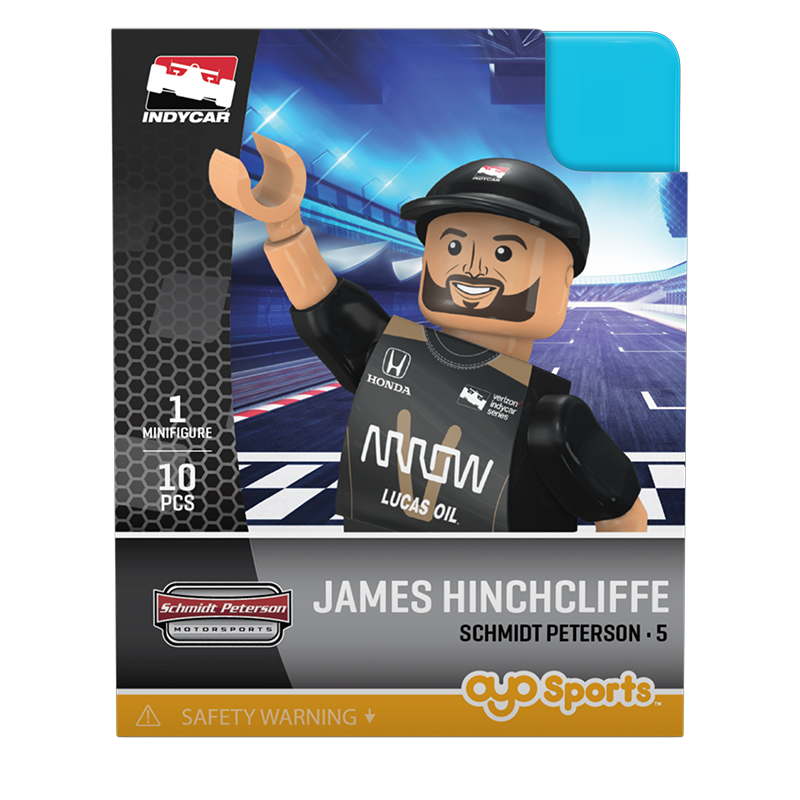 Welcome to the fast lane and our new IndyCar IRL driver minifigures. Our driver minifigures come complete with their team-branded firesuits (including sponsor logos, driver name and number!) with bendable knees and elbows. 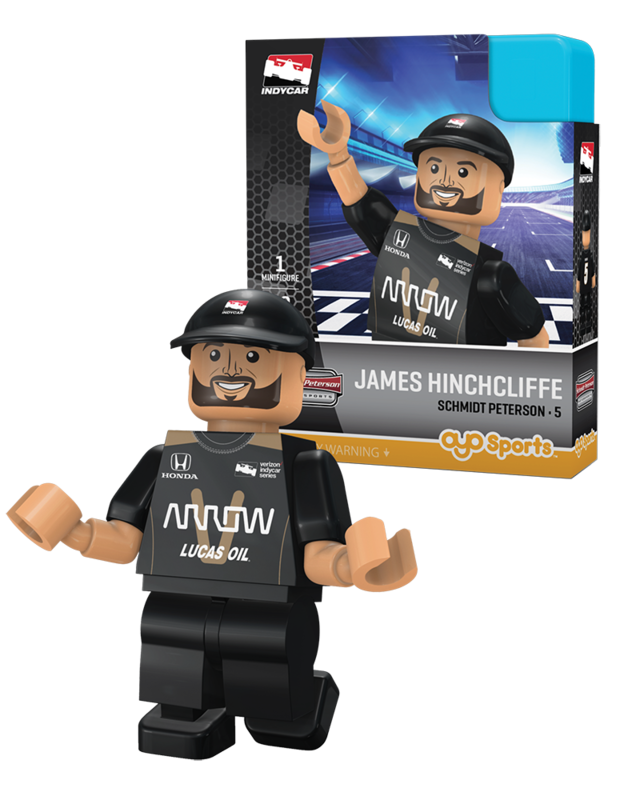 This new product line features the top IRL drivers and the biggest names in IndyCar racing. The perfect gift for the biggest (and littlest) race fan in your life.